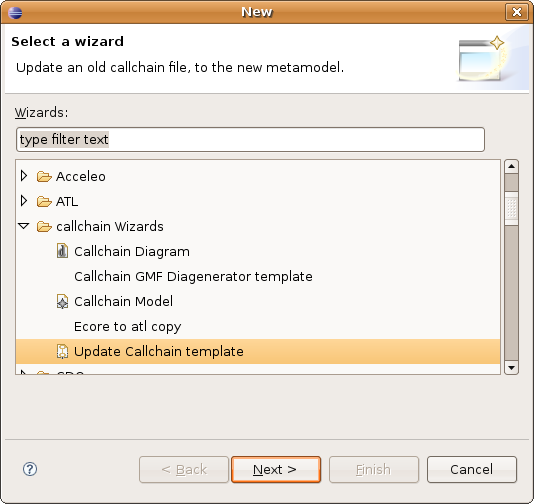 Update process for the callchain model.A sample AtlFlow process. Update process for the callchain model. A simple transformation is the update of an old callchain file. 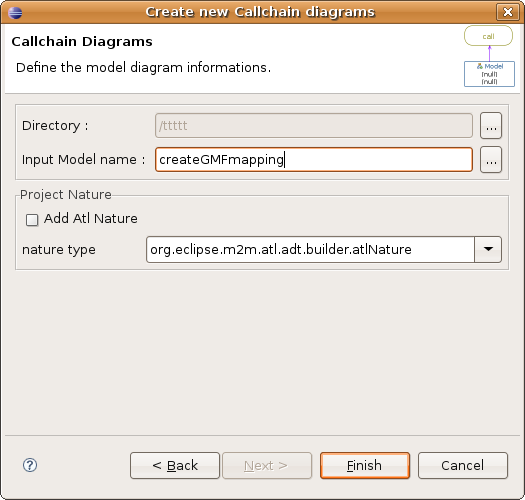 From here you can start the transformation via context menu on the call element MBCallchain2Callchain. The old model (IN) conforming to the old meta model will be transformed by the ATL_FLOW2ATL_FLOW to a new model (OUT) conforming to the new meta model.